This is the reverse of Gill's Cross * See bottom of page. reverse given over to personal engraving details. 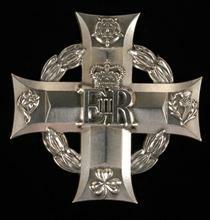 Before we begin, first read the salient details about the Elizabeth Cross here direct from The Queen's own personal website with an audio presentation spoken by Her Majesty herself at the foot of the page. magnificent radio and television programmes of great interest to our armed forces. The photograph is included in their coverage. 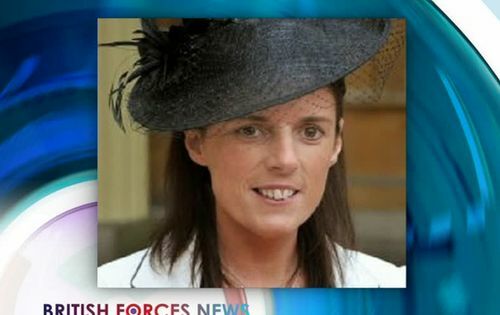 The widow of the Royal Navy commander shot dead on board the nuclear submarine HMS Astute received a military honour today. Lieutenant Commander Ian Molyneux died after the incident in Southampton in April 2011. His widow Gillian was handed the Elizabeth Cross, given to the next-of-kin of members of the British Forces killed on duty, in a special ceremony in Wigan#. This video might take a little while to download especially on slow broadband connections. However, like all good things, it is worth waiting for. The naval officer at the ceremony is Commodore Dickie Baum Royal Navy, the Northern Regional Commander. He had the unpleasant task of calling upon Gill to break the news of Ian's death. Just as a point of interest if you are using REAL PLAYER to watch this video on. The video might run continuously which can be annoying. To stop this, do the following. Click on the name plate REAL PLAYER [top left of player module] and then choose "PLAY". At the bottom of this menu, deselect the tick alongside 'Continuous Play' and click on 'Shuffle Play' to place a tick alongside it. When the video plays through, at the end it will show you a menu which will allow you to play it again. 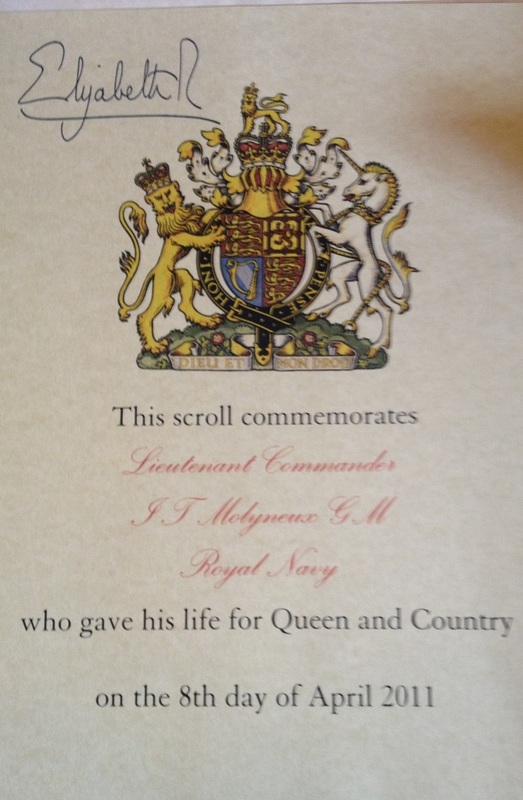 This is the Scroll awarded with the Elizabeth Cross which is signed by Her Majesty. Gill is now the proud recipient of the George Medal and the Elizabeth Cross. Since Ian's death, she regularly uses the expression "bitter sweet" to mean her continuing deep pain and sadness for the loss of her husband but her happiness, thanks and joy, at having so many supportive friends and a wonderful family to support her. She wears these honours on her chest with great pride and in her heart she bears her pain and loss with great dignity. *This gives a better view of the reverse of the Cross. 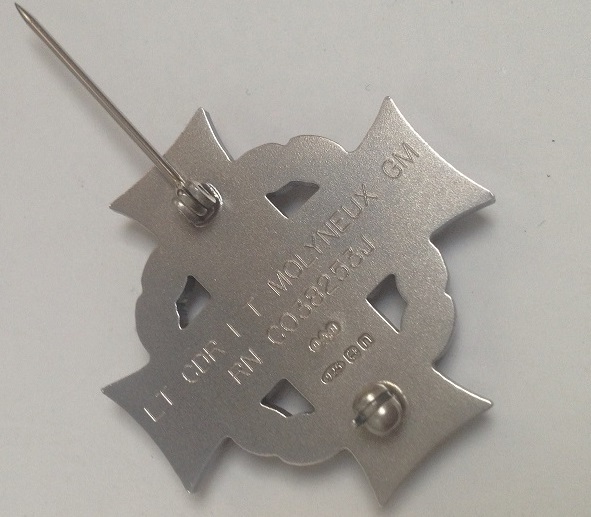 Underneath Ian's Official Number there is a Sterling Silver Hall Mark and the pin fastener.